On March 24, 2019, Makkedah Joy Aiyayla Yancy turned 10 years old. She chose her favorite, Chipotle, for lunch and we surprised her with a a stay at Holiday Inn in Maple Grove, MN which has an awesome little water park. She requested to go swimming for her birthday and we played it off like it wasn’t possible since its March in Minnesota. It was the best surprise and we swam, sang, ate cake and opened presents in our little hotel room. One week later, we threw her a party at our home and although I told her she could have 10 guest attend, we ended up with over 16 girls there and it was a total blast. 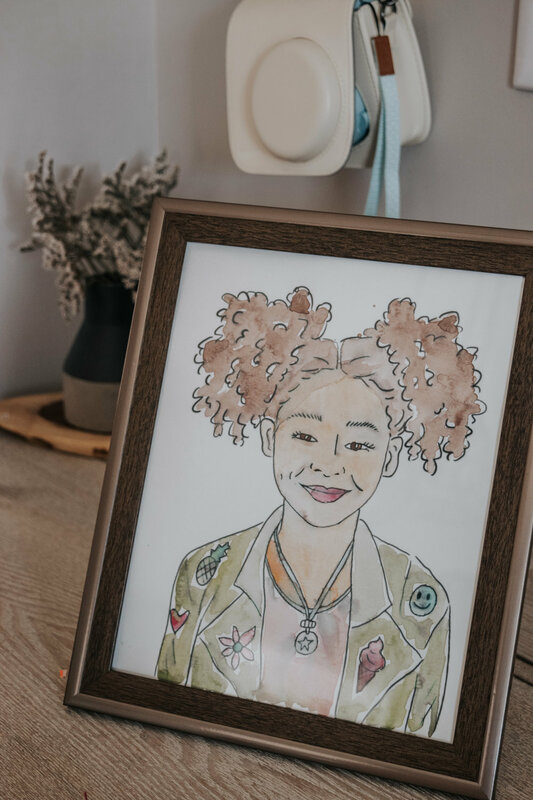 Makkedah has been drawn to art in the past year and has been practicing and constantly wanting to create so we thought that an artist party would be fitting. And it certainly was. I had an entire itinerary planned out with lots of flexibility along the way. It was so fun to see her full of joy throughout the whole 3 hour party and enjoy the day with her friends and family. A HUGE thank you to everyone who came and made her day even more special. It took me weeks (maybe even months) to plan this artist party out, make at ton of DIY projects myself and bring in some big guns to make the day great. I’m super excited to share it all here in case you would like to do an artist party in the future! 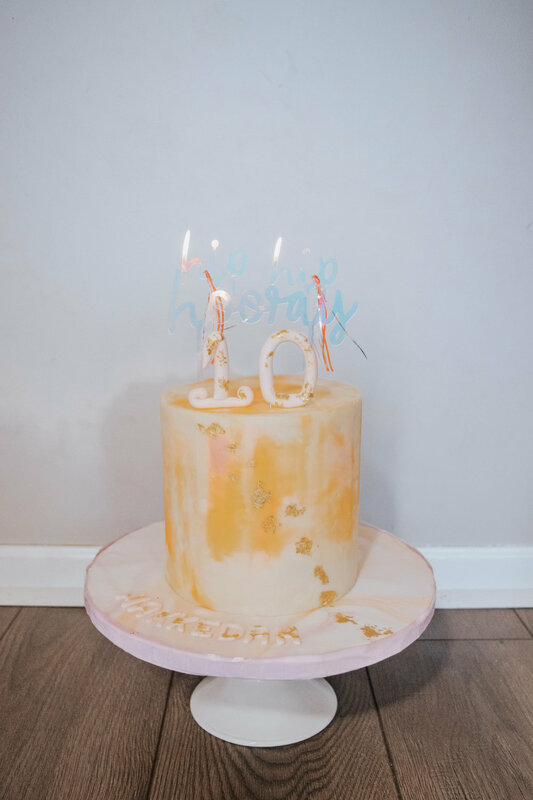 I connected with Kellie from Tasty Cakes Bakery and gave her my vision for the cake and she brought it to life more than I could ever have imagined. It was BEAUTIFUL! 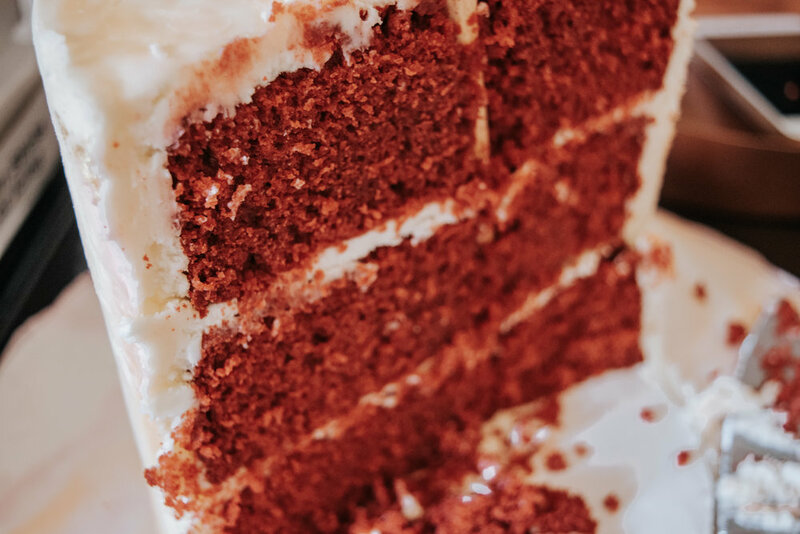 Makkedah requested red velvet cake with cream cheese frosting and it was delicious. I was seriously blown away with her craftmanship and how all the creativity and love was put into making this cake so special for our occasion. You can find some of her work here and book her for all your cake needs! The amazing party planning genius was all from Geese and Ganders and she helped me put together the entire design and decor concept of the party. The colors, the decorations, the setup- it was all her and I am so thankful that I could get everything I need (plates, napkins, decor, candles, cake topper, crowns, etc, all from one place.) She is amazing and I just adored what she curated for Makkedah’s party! You can find her here and she is so helpful in creating a great party planning theme within your budget. 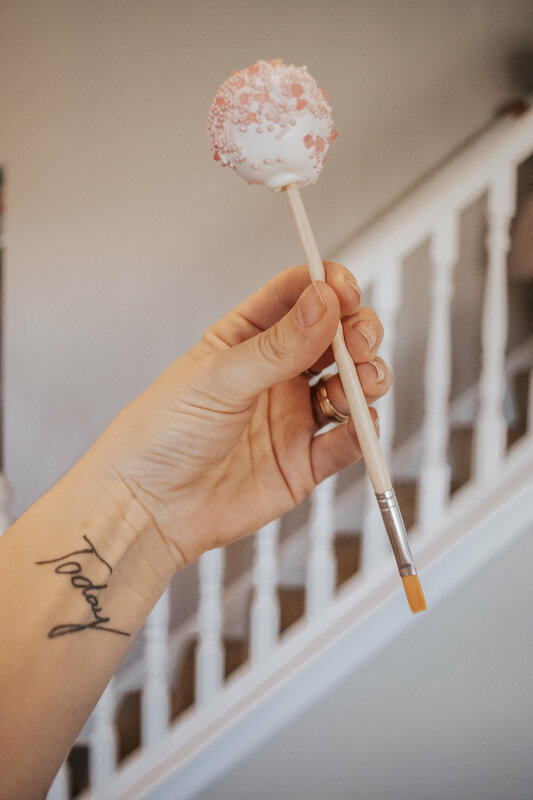 The most gorgeous (and tasty) cake pops I have ever laid my eyes on are from Grace Bakes Cakes and she even gave them the personal touch of having the stems be paintbrushes- I love the creativity in that. She makes some beautiful cakes and you can find her here on Instagram to stay up to date with all she is doing! I was just so amazed at her creations and maybe ate one too many cakepops because they were so good! We have a trampoline so the girls were filtering in and out jumping around and then we made some time to do the pinata. We had a friendship bracelet station with some elastic string and letter beads. 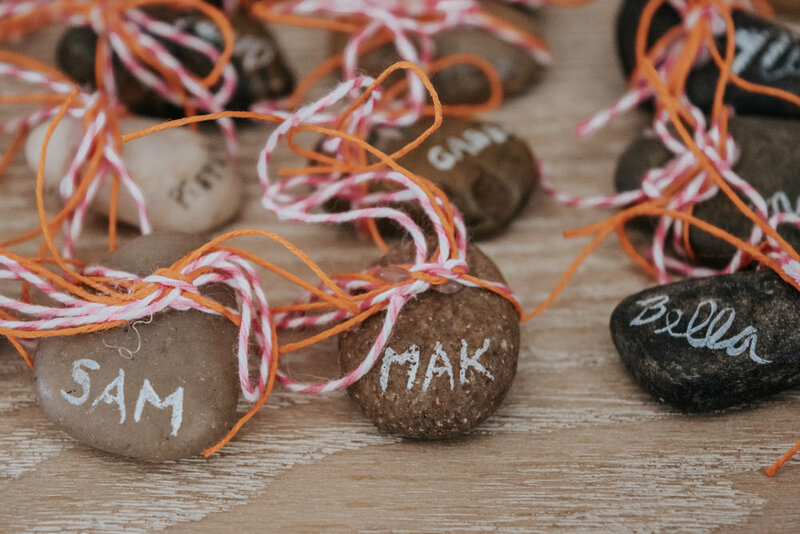 We also had pre-made some personalized rocks with string attached for each girl to take home and I wanted them to know that nature and every day objects can be turned into an art project. We made mini easels with canvas’s for each person and had a little painting session. We made the easels out of popsicle sticks and hot glue and then got pallets, canvas, and paintbrushes all at the dollar store. 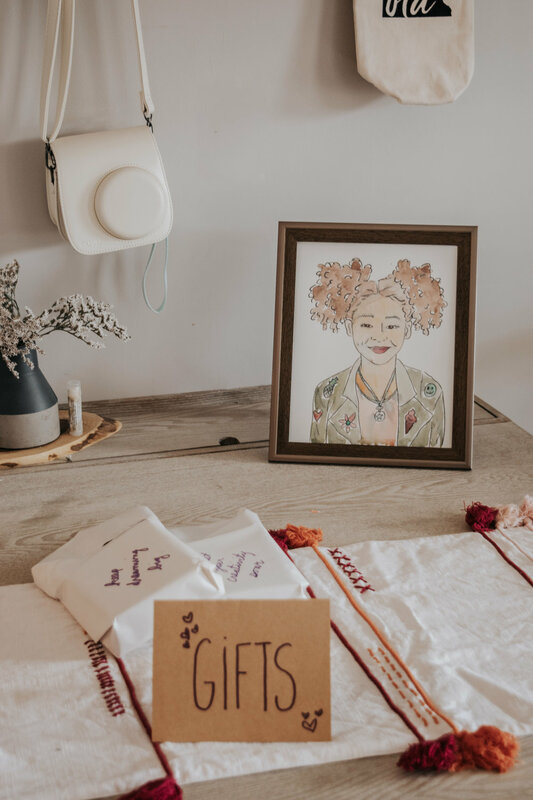 It was such a fun little package to put together, created an activity at the party and a neat gift for them to bring home while being super cost effective. My wonderful artist friend, Jena from Spoonful of Faith created a custom drawing of Makkedah. 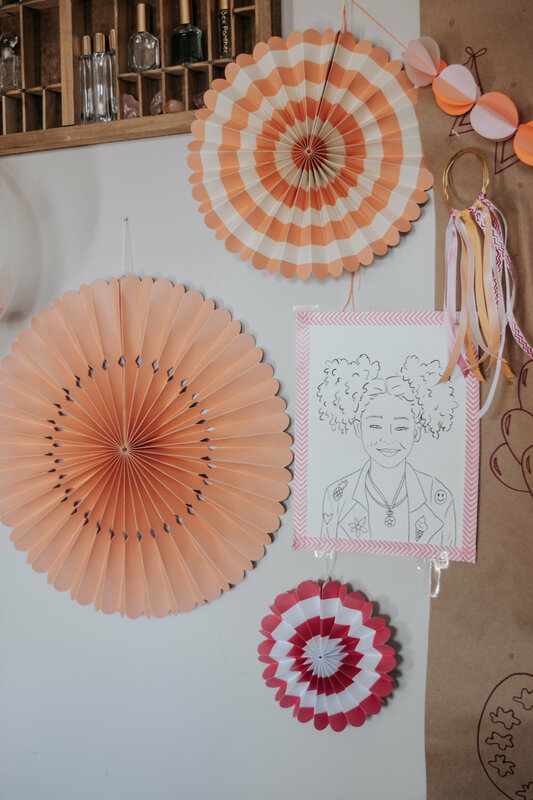 We used this not only in our party decor but we printed off small coloring sheets that we added to a clipboard for the party favor. Each girl brought home the clipboard, coloring sheets and a cute little bundle of crayons. It was so fun to put together which such a personal touch. You can see Jena’s artwork here. We topped off the day with singing, cake eating and lots of love and hugs! Even with a 3 hour party, we didn’t even get to opening gifts so Makkedah had a fun time in the evening doing that. I am so grateful to all the girls who showed up to celebrate Makkedah’s life with us. Artist party was a hit and I am thankful for all the people who had a contributing factor in bringing it to life! Hopefully, you walk away with some great ideas of how to run your own artist party!